They are on a normal trend of a business cycle where they bottom out and then head upwards. When the trend starts to go positive, a recession is imminent. The trend is just now hitting 0% which in the last two business cycles signaled a recession about 3 to 9 months ahead of time. 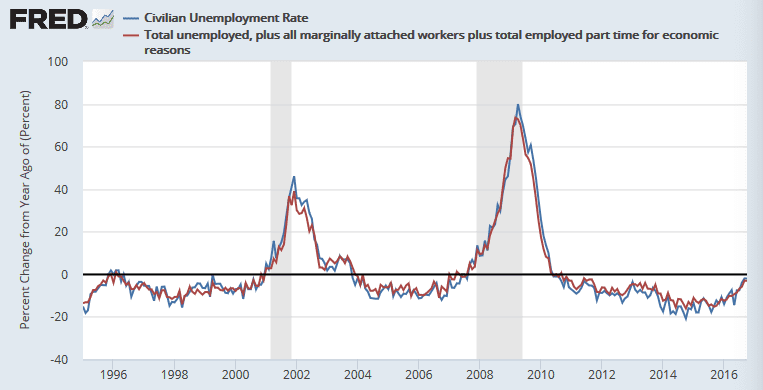 Always on a quarterly basis, when the yoy %change in U3 goes positive, it signals a recession. here is the quarterly graph… with effective demand. The U3 yoy %change plot is heading upward right now.